Hauerwas has dabbled with this kind of writing before, but still the beauty of this book must have been a surprise to those of us thinking that essays is all he could write. I have no doubt that this is the book that will continue to be read when all those collections of essays are out of print. Academic memoirs are usually selfgratulatory, polemic, and narrow. They often are preoccupied with how the writer has been misunderstood, and often seem to be little more than a chance to get in the last word in long forgotten debates. 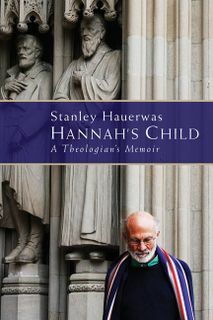 Hannah’s Child is certainly polemical at times, but if anything it is Hauerwas’s generousity that comes over here, which is remarkable considering how widely misunderstood he in fact has been. One reason that the book ”works” so well is of course that Hauerwas actually has a story to tell, or rather several. There is the story about the working class kid living in the university world. There is the story about how his spiritual development. There story about his marriage to his first wife, suffering from bi-polar disease. And of course the development of his thinking. All these are weaved together remarkably well. Hauerwas also has some points he wants to get across. Of course there is the idea of the narrative: how his life makes sense only in light of the Christian narrative. He also emphasizes friendship in a way that is more about naming the people he has been close to (this actually gets a bit annoying at times), it is about countering the notion of the ”genius” that creates in splendid isolation. Hauerwas wants to show us that he is who he is because of his friends, and how this is actually a huge part of what being Christian is about. We all knew that Hauerwas was funny, but wheras in his lectures (and the other outlet for his humour, his footnotes) he tend to work with his famous oneliners only, here he at times lets loose and actully accomplishes some very funny episodes. 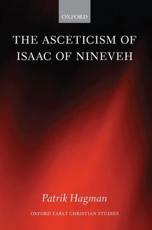 So, this book should be read by all theologians, even those that disagree with Hauerwas. It could even be considered an alternative route into his thinking. There are also ideas here that are developed better here than anywhere else in his works – I am especially thinking about his views about the church which become quite clear when his own practice and experience in taken into account. He also has some very interesting things to say about belief here, that I do not remeber him developing elsewhere. It does have one problem – as I already mentioned Hauerwas feels the need to mention every person he considers a friend. While this is understandable, it gets a bit tedious. In particular the last few chapters suffer from this, which means that the book ends a bit weakly. But apart from this, this is a great read. If you haven’t read it already, you’re in for a treat!